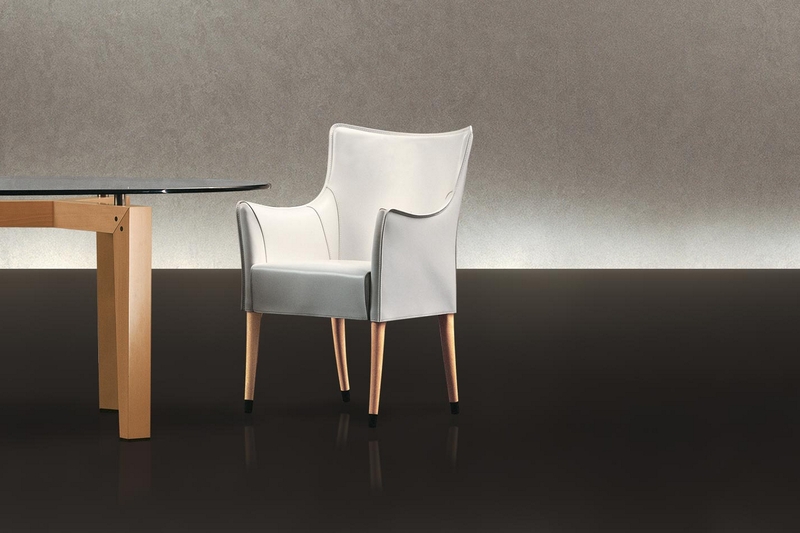 From the Giorgina family come Giorgina Cuoio, a chair and armchair in polished or lacquered solid beech wood. The padding is in non-deformable multi-density polyurethane and fibre. The foot-caps are in black nylon. 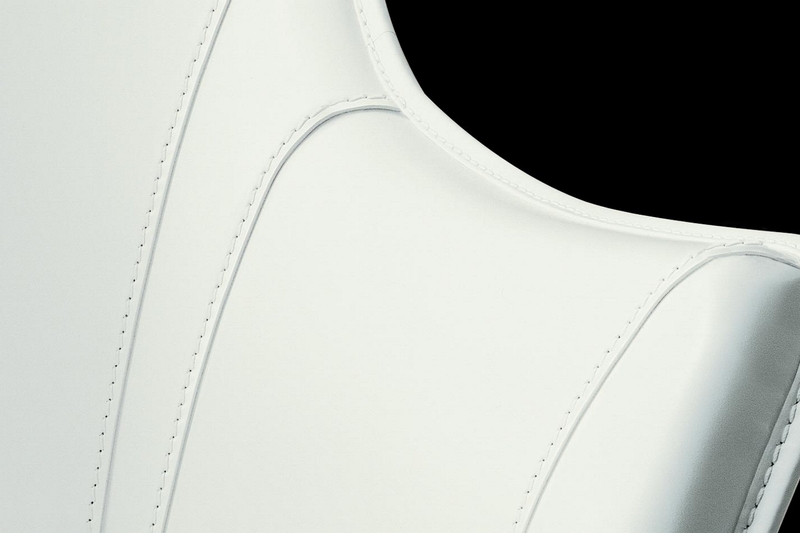 The saddle-leather upholstery is available in various colour shades.